Congratulations to Ryan Fernon and Brendan Reilly who successfully completed the Score Goals Initiative at Firpark, also receiving the North Lanarkshire Fitness Award. The Initiative is a partnership between Motherwell FC, Strathclyde Police, Strathclyde Fire & Rescue, North Lanarkshire Council and NHS Lanarkshire. S1 and S2 pupils are nominated by schools across the authority to attend the programme, which covers mental and physical health as well as education and discipline and a decent dose of professional football training. 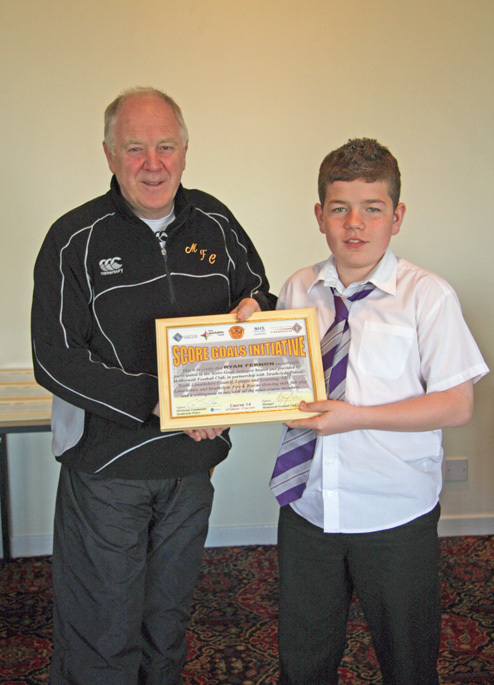 Both boys received a certificate and signed photo of themselves with Motherwell FC Manager, Craig Brown. 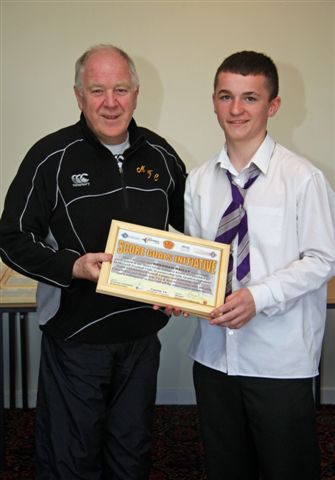 Congratulations to the pupils from OLHS who recently completed the “Score Goals Initiative” with Motherwell Football Club. The Initiative is a partnership between Motherwell FC, Strathclyde Police, Strathclyde Fire & Rescue, North Lanarkshire Council and NHS Lanarkshire. Pupils in S1 and S2 pupils are nominated by schools across the authority to attend the programme, which covers mental and physical health as well as education and discipline and a decent dose of professional football training.